They are only the beginnings of the warnings. The recipe that is about to be revealed has its' own warnings: Habit forming, may cause a statewide lemon shortage,may create an abundance of naked lemons,may lead to making other recipes calling for lemon juice, use only in small doses,er, glasses, may temporarily take up freezer space, so delicious may cause over consumption, may cause lingering or loitering on the porch on hot summer days/nights, yum. Zest the lemons using a Micro-plane grater or another similar tool that also produce a very fine zest. Place in a jar with the Everclear and leave at room temperature for 1 week. Strain using the cheesecloth. In a saucepan, warm the milk over medium heat. Add the sugar and the vanilla sugar and cook, stirring frequently, until dissolved. Remove from the heat and allow to cool. 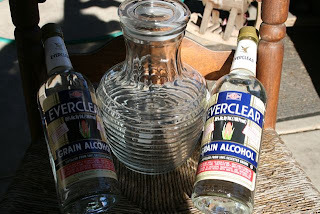 In a large bowl or pitcher, combine the Everclear mixture with the cooled milk mixture , funnel into bottles, preferably with wide mouths and store in the freezer for up to six months. 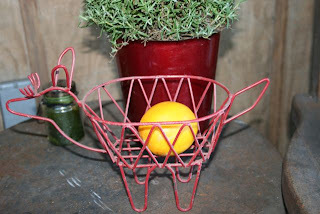 Serve neat in a chilled tumbler or martini glass. Depending on the proof of the Everclear, the drink will slushy or just very cold. 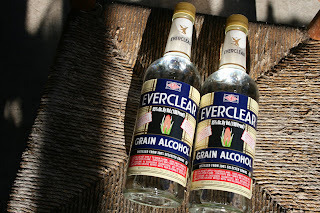 Vodka may be substituted for the Everclear. I can attest to this drink's deliciousness and power.